What occupation would you have taken up if you would have lived in the 1800’s? 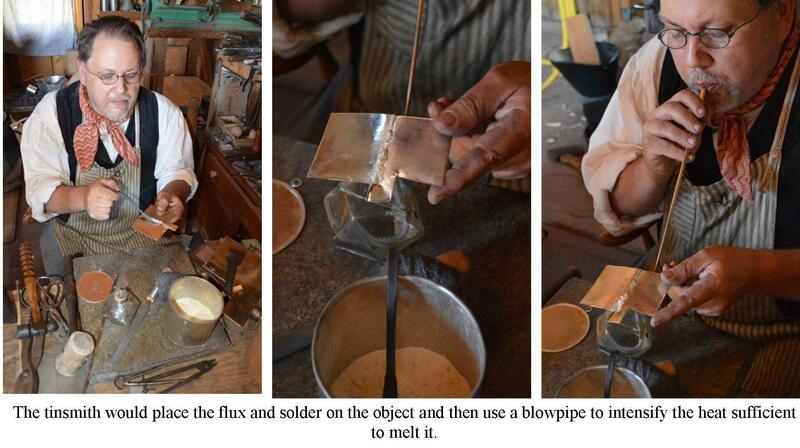 If you had chosen to be a tinsmith, that would have been a smart move! 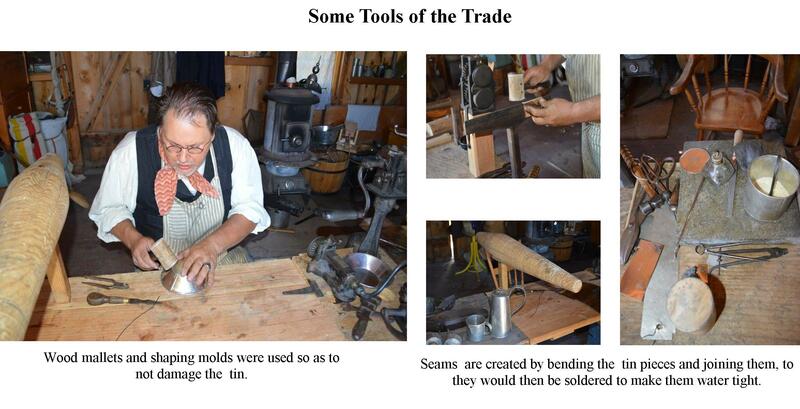 That was an essential craftsman in any community in the 1800’s and earlier, and a dependable trade. 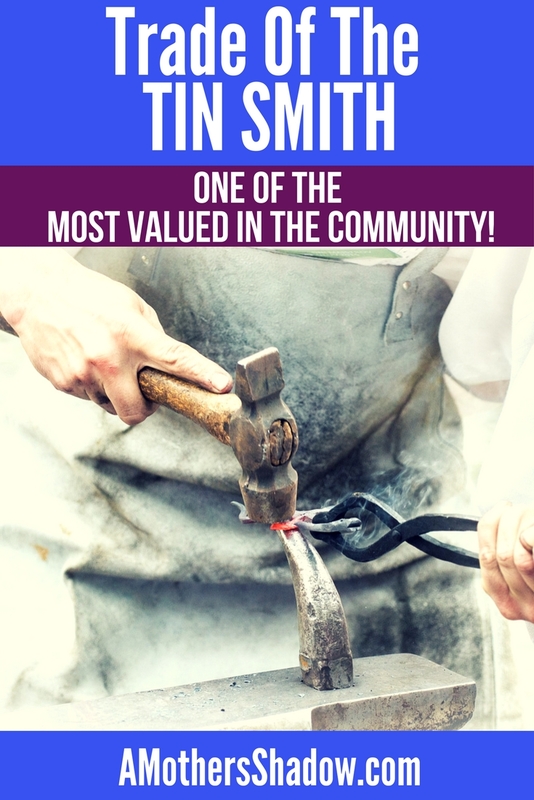 Let me tell you a little about how Tin Smith painstakingly made some of the utensils and things we take for granted today. A young man would apprentice as a tinsmith for five to seven years, working under the tutoring of a professional tin smith. An aptitude for geometry was critical as pieces had to be calculated to fit properly. Occasionally a young woman would apprentice particularly if her father or close relative was a tinsmith. A tin smith made good money in his day and and enjoyed social standing making about three dollars a day, where a farmer would make about one dollar. 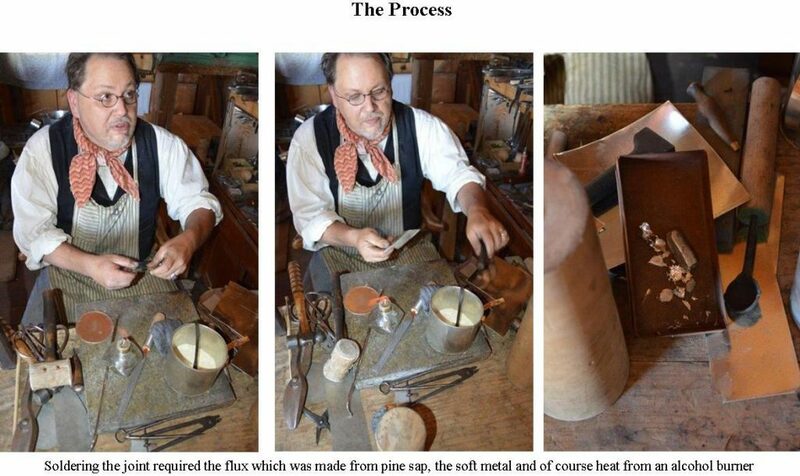 The tinsmith would purchase any tools and forms that had to be cast from the founder, metal tools he would buy from the blacksmith and the word forms necessary to shape the tin he would get from a carpenter. 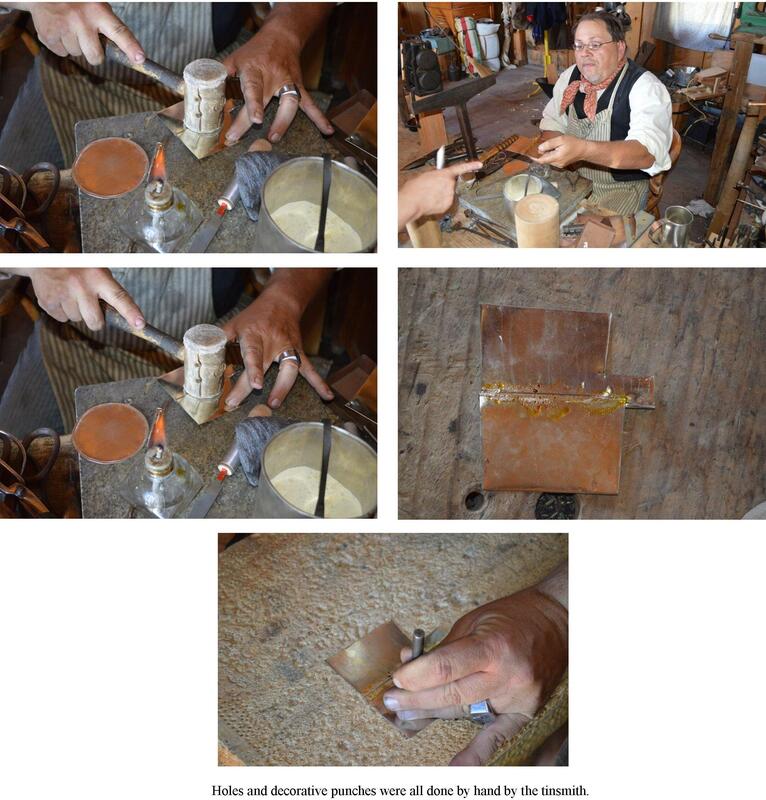 The tinsmith’s raw material was sold in sheets which he had to purchase with hard cash. This, in turn, meant that he he was generally unable to barter for goods as his supplier expected to be paid in hard money. 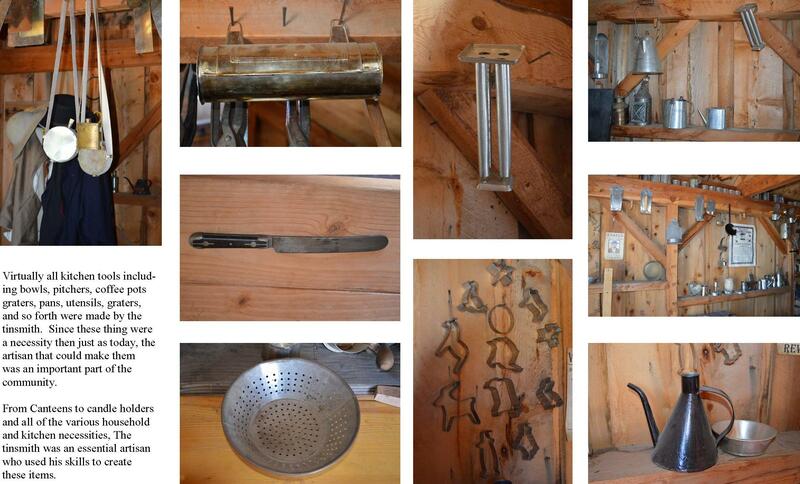 Virtually all kitchen tools including bowls, pitchers, coffee pots graters, pans, utensils, graters, and so forth were made by the tinsmith. Since these thing were a necessity then just as today, the artisan that could make them was an important part of the community. 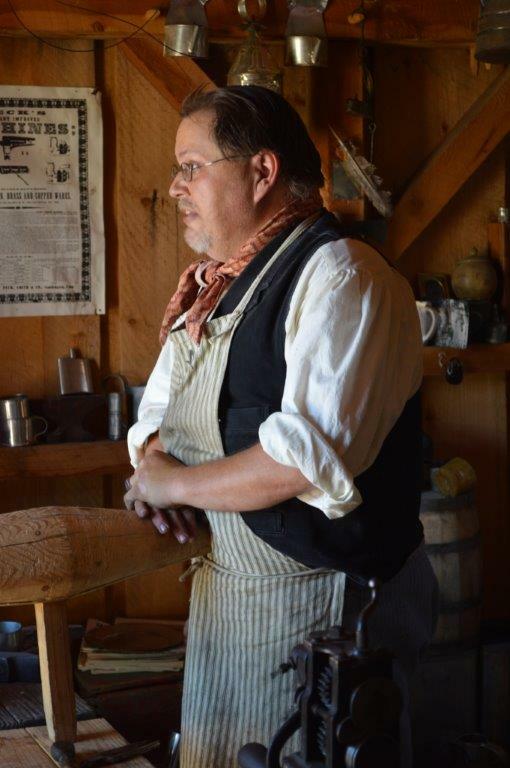 Would you like to know about the PRINTER or the BARBER & DENTIST or the MOUNTAIN MEN RENDEZVOUS or GAMES PIONEERS PLAYED – simply click on each title and you will find pictures and more great information! I have LOTS more in my LOST ART OF FAMILY HISTORY you might enjoy also! Thank you so much to all those at This Is The Place State Park in Utah, USA for their help and information, which made this post possible. Click HERE for their site.